Order now for delivery on Wednesday, May 1. 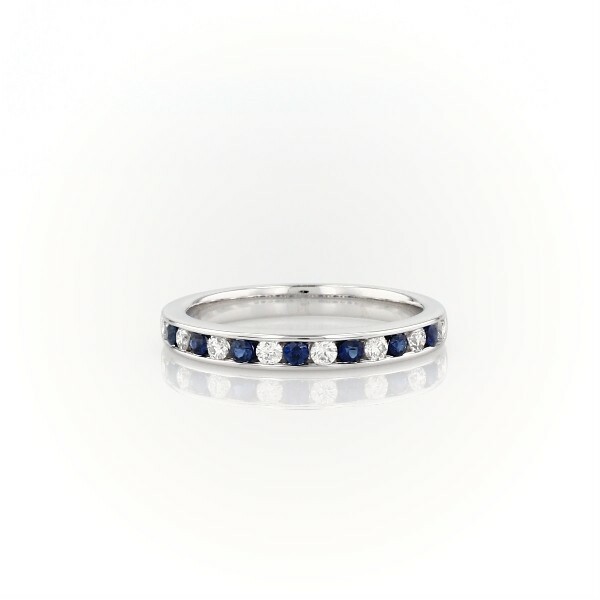 Seven cool blue sapphires and alternating with round brilliant-cut diamonds at set in an 18k white gold channel rather than individual prongs, giving a sleek, modern look. Whether you're a bride looking for a uniquely colorful wedding ring or an admirer of this classic September birthstone, this channel set sapphire and diamond ring will win you over.